My whole life I’ve been afraid of heights. I’ve been actively working to rid myself of this fear. 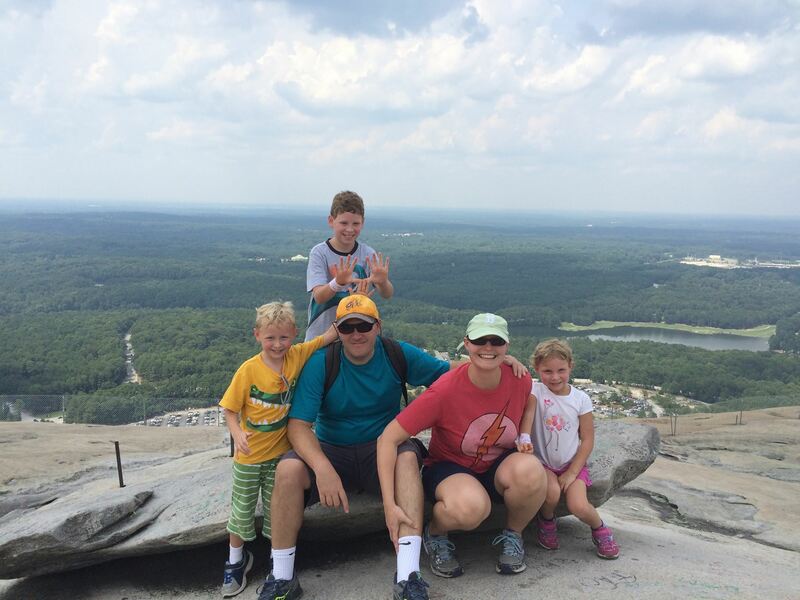 This summer, I went to Punta Cana and did the zipline, then I went up a skylift at Stone Mountain, and did the Skyhike (a high ropes course). On the Skyhike, as I climbed to the second level I felt my heart steady and I concentrated on the task, and I wasn’t scared. I can’t say the same about the skylift–it shook when it went through the tower and I screamed! 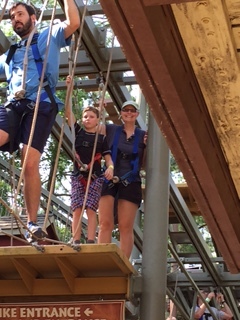 Caden and me on the bottom level of the Skyhike ropes course. I might not have realized that it wasn’t so scary at the top. I wouldn’t have been able to see the Atlanta skyline shrouded in haze from the heat. And I wouldn’t have been able to walk down the mountain with my three billy-goats by my side. Pushing aside my fear has allowed me to accomplish things I never thought I could. I wrote a book. I published it. I had people read and review my book. Fear holds you back like a tether, but overcoming that fear allows you to climb to new heights. Good for you overcoming your fear of heights and your writing fears. I’m struggling with the same writing fears as you. I want my work to be the best it can be, but I’m so scared of what others will think, or if they’ll ever read it. But as you said, we have to push back those fears. We can’t let them hold us back from accomplishing great things. Thank you so much for sharing your story. Thanks George! Overcoming my fear of heights will be a lifetime achievement, I hope. I don’t like when fears hold on me back.